Mouse infestation is one of the most common kinds of problem in households all over the place. If your house is overrun by mice than it can cause serious health problems and loss of property. But you do not need to panic as our company Smart Touch pest control is here to help you solve your mice problem. Our panel of experts specializes in eliminating the mice from the houses. 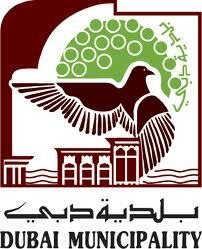 We work in UAE region providing our services in different cities. Mouse is a warm blooded mammal that belongs to a rodent family. There are different types of mouse but the mouse that create problems for humans are the house mouse. These mice are able to survive on almost every kind of food consumed by the humans. These mice are gruesome rodents and can create state of panic in certain types of people. They generally love to stay in warm cozy places which they may find in different parts of the house such as kitchen, garage etc. They stay inside their nest in the day time and do most of their activities in the night time as they are nocturnal animals. How to know your house is infested by mice? In the quiet of the night if you hear the sounds of rodents running and making noises then you got to know your house is infested by mouse. *Different food packets are found chewed or bitten time to time. *Different items such as leather shoes, clothes are found to have holes by rodent biting. Mice can create both loss of property and health. Mice can bite electric wires which can be the source of potential fire hazard in the house. This can cause great loss of property and even life. Mice are also able to chew and make holes in clothes and other valuable items. Mice are carriers of germs of different diseases and they may instill those germs in our food. The urine of mice can also cause disease called Lymphocytic choriomenangitis which causes nausea, headache, fever and even brain damage if not treated properly. First step to keep the house free from the infestation of mouse is to keep the house clean. It is better to store food in containers with tight lid rather than open places. Food remains should be managed properly and should not be kept in the floor. Different cracks, holes, gaps etc. should be sealed with cement or any other proper. But once the house is infested by the mice it is nearly impossible to get rid of them without the help of professionals. Our company Smart Touch Pest Control have highly professional experts and they exactly know how to get rid of the mice in the house. We will identify the possible hideouts of the mice, their breeding location and use modern techniques to completely exterminate them. We also clean up the carcasses after the extermination leaving the house clean and without any mess. Smart Touch Pest Control is giving range of services in Dubai, Abu Dhabi, Sharjah and other emirates. 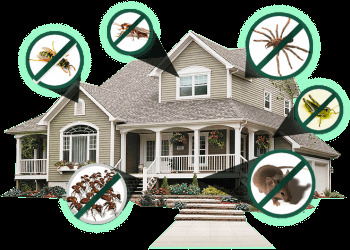 Among them, we are expert and giving services for Rodent pest control. We inspect the areas where termite pest control is needed, then our experts do action to control rodents. Also, prevention is better than cure, you need to do Rodent pest control timely so that you do not have to panic for its consequences.